It’s one of my favorite times of the year — it is the time of the year when the dogs invade the Wicomico Youth & Civic Center. 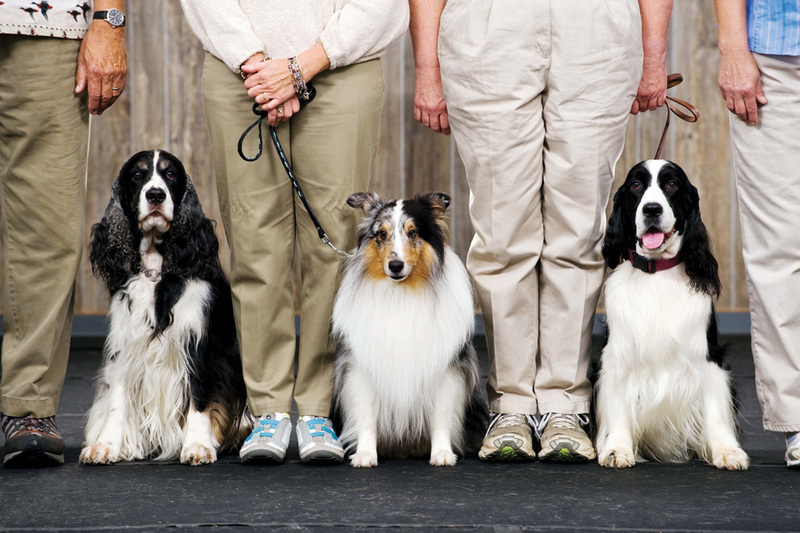 Wednesday, Nov. 7, starts the five-day cluster of dog shows known as the Eastern Shore Classic. Each day, Wednesday through Sunday, will host its own dog shows. Each day will have the standard confirmation show, with the individual breeds starting at 8 a.m. Some days will have obedience, rally and agility shows. Some days will have health clinics. There will be various vendors selling dog merchandise, such as crate pads, beds, food bowls, brushes, shampoos and more. There are usually vendors selling many different varieties of art, décor, clothing, jewelry and more, featuring your favorite breeds and more. For more information on any of these clubs, you can check out their online websites. Most of these clubs work tirelessly in their local areas, trying to educate the public on dogs in general. Many of their members are involved in many dog-related activities in their own local communities. Many of Mispillion Kennel Clubs members are involved in things like LEAP, a reading program in schools where dogs go and visit during reading times. Many visit nursing homes, veteran organizations, rehabilitation centers, hospitals, schools and more. Mispillion also has a scholarship program for local Delaware high school graduates who are going on to higher education in veterinary college or vet-tech programs. All of these clubs work all year long toward this series of dog shows. If you have never attended a dog show, please, come on out and visit. While parking is free, there is a nominal charge per person to enter the show. Students, children and seniors are discounted, so bring IDs and ask for you discount. Each day is its own separate show, however, on most days, many of the same dogs will be there. Friday, Saturday and Sunday are the busiest days; however, Sunday is also pack-up day. So if you plan on attending on Sunday, come early, because many people will start to pack up and get ready to leave once their dog has finished showing for the day. This is your chance to walk around in the grooming areas and watch the dogs getting ready to be shown. This is your chance to see some of the breeds you have never had the chance to see up close and in person. If you really want to get the full experience of the show, I recommend you try to come early (shows open at 8 a.m.) on one of the earlier days in the week. Stay the whole day. Check out the judging schedules for the following days, and then come back a second time and follow one breed from start to finish. I’m there most days all day. I’ll probably be out camping in the parking lot by Wednesday evening. I am actually the chairperson for the obedience portion of the show on Sunday. So Sunday, I will be in the obedience room most of the morning at least. I love these shows. It is our only big all-breed show in this area. I anxiously await these shows every year. These shows also have a special place in my heart because this is where I met my best friends, who put me in touch with the breeder where I got my baby boy, Amazing Graces Bodacious Beginnings (“Bo”). I lost Bo a little over a year ago. He was my first bloodhound and will probably always be my favorite. Any of you who ever got the experience to meet him know that he was a unique guy. So, I got one of my best dogs because of these shows. I met a couple who have come to be my best friends. I found a kennel club to join and be a part of. I’ve made a lot of friends, met a lot of really neat dogs, learned a lot and, most of all — I’ve had a great time. So, whether you are into purebreds, rescues, mutts, mixes — there is something here for everyone. There are various types of dog sports to get involved in with your dog. Cheryl Loveland is a semi-retired dog groomer. She currently lives with Noel, her bichon frisée; Reba, her female bloodhound; Nala, her indoor cat; KitCat, the outdoor farm cat; and Max, her scarlet macaw. Also living on the property are numerous chickens and rabbits. Her daughter’s pets include two dogs, a guinea pig, a box turtle and a tank of fish. She is a member of Colonial Bloodhound Club and Mispillion Kennel Club. She welcomes hearing from readers, with their comments and suggestions for future articles. She may be contacted at lovelandcheryl@gmail.com.